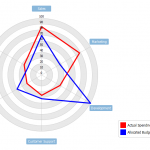 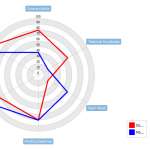 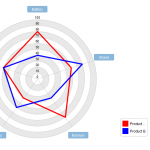 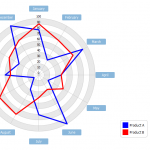 Here is a radar chart example that shows how it can be used for maturity analysis. 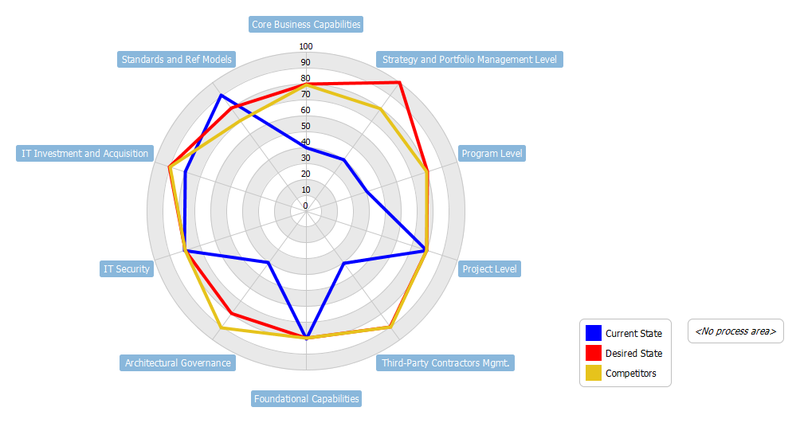 TOGAF advocates the use of maturity models as a tool to assess the current status of an organisation (within a predefined scope and process area(s)). 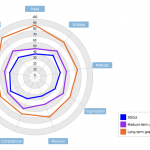 The clear mappings of the process maturity levels both at current and future states (or even including the competitors’ maturity level of references) make it an ideal tool to communicate the planned roadmap. 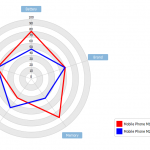 Graphical representation of the maturity levels can be easily recorded via spreadsheet as shown here.